Temperature : Max. 36.9°C and Min. 23°C in summer.Max. 27.7°C and Min. 7.4°C in winter. Deoghar (the house of Gods) is a centre of peace and harmony, that features many socio-culture and industrial centers. It is a popular health resort and an important Hindu pilgrimage. The ancient temple of Baba Baidyanath – one of the twelve Jyotirlingas in India is located here, a place believed to be the route that Lord Shiva traveled on his way to Sri Lanka. Deoghar is also a centre of peace and harmony that features many socio-cultural and industrial centers. Air: Nearest Airport is Patna 270 km and Ranchi 345 km. Rail: Nearest railhead is Jasidih 8 km away. Jasidih is on the main line of Delhi-Patna-Howrah. Good trains are always available on this line. Baidyanath Dham: It is situated in the Santhal Partgana of Jharkhand. This is a very important pilgrimage centre. Kamana Linga of Lord Shiva is situated here. Every monsoon countless devotees undertake a rigorous 100 km pilgrimages on foot from Ajgaibinath (Sultanganj) to offer holy water to Baba Baidyanath. The pilgrimage is deemed complete with homage paid at Basukinath, almost 43 km from Deoghar. Within the precincts of the temples, dedicated to different Gods, including Lord Mahadeva. Satsang Ashram: Satsang Ashram in Deoghar is one of the holiest of the holy places for the followers of Sri Thakur Anukul Chandra. A visit to the ashram would give one a feel of freedom, peace and progress. Trikuti: Trikuti is almost 24 km west of Deoghar, is famous for its temples situated on hills. On the top of three hills situated here, popularly known as Trikuti, many a sage attained salvation. The hill consisted of huge boulders. On the right is a small temple where Parvati is worshipped. Close to her lies a Shivling. People flocked here from far and wide during Shivaratri. There is also a temple built in the memory of a sage who had meditated in this rugged terrain. The temple is well maintained. If one climbs further one can reach to another temple where a lady Sanaysin still resides. She comes out of the cave only once in a day. The Shrine of Swami Sampadananda, who lives here for 64 years, is also worth visiting. Masanjore: Masanjore is situated 31 km from Dumka. The picturesque “Canada Dam” on the river Mayurakshi is the prime attraction here. 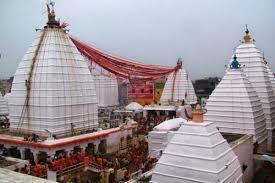 Basukinath: Basukinath in Dumka distreict is 43 km from Deoghar and is the culminating point of pilgrimages to Deoghar. The district town of Dumka is a hilly, scenic centre of tribal culture in Jharkhand. 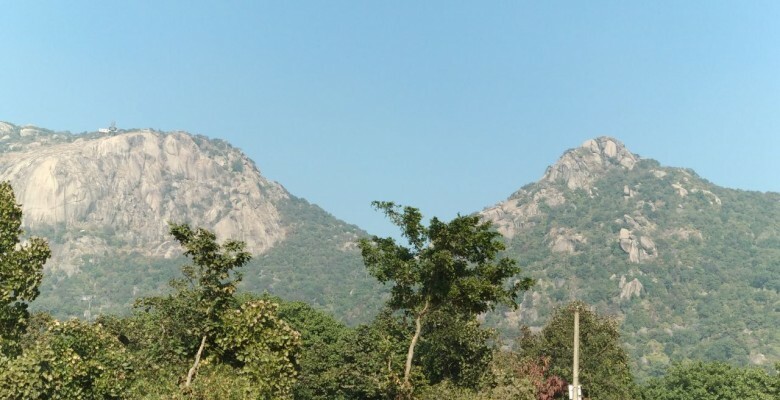 Mandar Hills: Mandar Hills is situated 69 km away from Deoghar. It is believed to have been used by the gods to churn Oceans, and Sultanganj (100 km), situated between the two banks of the river Ganges. This entry was posted in Deoghar, Jharkhand. Bookmark the permalink.